I think I have said before, that I love anything orange flavored. 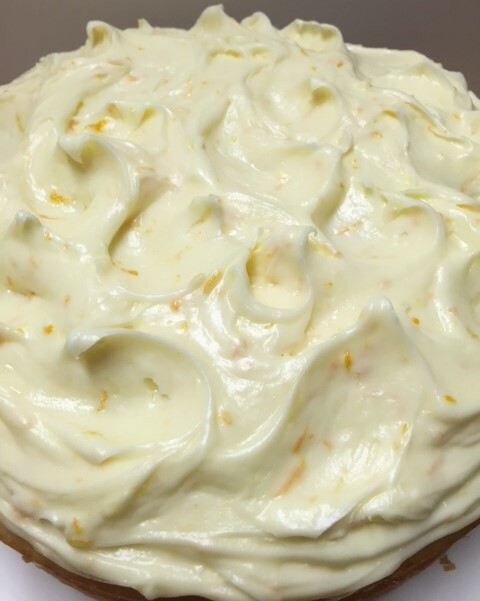 I love the smell of a fresh orange……orange zest is one of my top five favorite smells. I wish I could just dab it on like perfume. 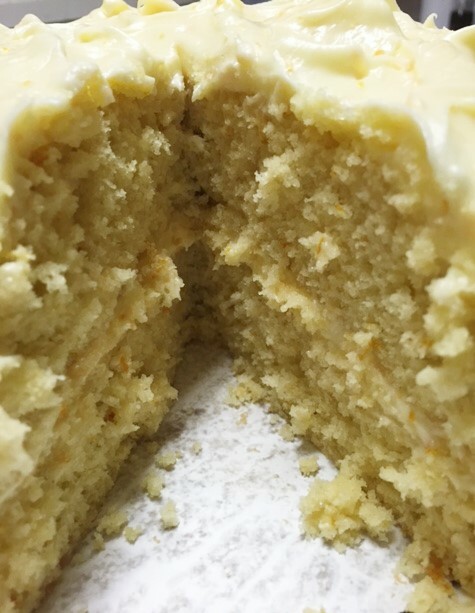 I especially love that orange zest in a cake. 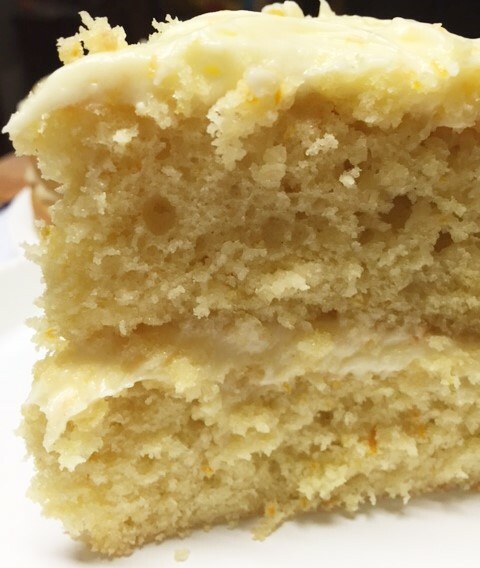 Give me orange cake over chocolate cake, any time! 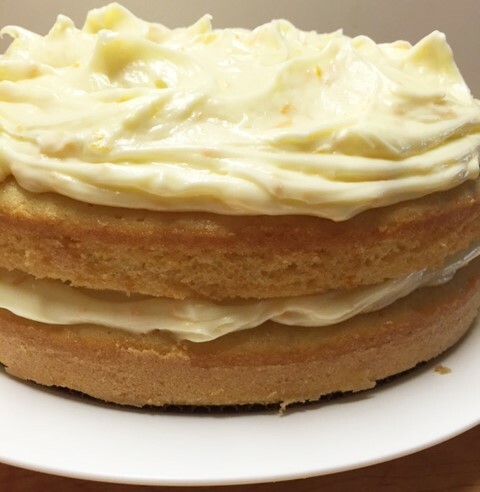 My neighbor has been giving me fresh oranges lately, so I made him some orange cake. Ok, well, truth is, I made the cake and he got one piece. hahahahaah. But he was very happy! Preheat oven to 325. Sift together the flours, baking soda, baking powder, salt and sugar. Set aside. In a large mixing bowl, whisk together the oil and shortening. Add the eggs one at a time, mixing well. Add the vanilla and orange zest. Gently mix in a third of the flour mixture, then half the milk, then another third of the flour mixture, then the remaining milk and finally the last of the flour mixture. DON’T OVERMIX. Pour the batter into 2 round cake pans, that have been greased with shortening and floured. Bake at 325 for approx. 25-30 minutes or until you poke a toothpick in the cake and it comes out clean. Allow to cool. Remove from pans. When completely cooled, they are ready to frost. Mix together the cream cheese, butter and zest until its creamy. Add the powdered sugar and mix till smooth. Frost that cake!! ** if you don’t have buttermilk on hand, just add 1 tablespoon of lemon juice to 1 1/2 cups of regular milk. hi Kim, oh yes, I hope you do try this. It tastes like summertime. So essential oil?? I will have to check it out! !